Bitcoin is one of the trendings on the Internet now. As bitcoin is the first digital currency, there are many methods on the internet to create it. One of the ways to create it is through a rewarding process called Mining. Today we will give you an overview of bitcoin mining and purpose why Samsung has created an affordable bitcoin rig using 40 Samsung S5s? And Why Samsung Galaxy S5? The answer to the second question is already answered in our complete review of Samsung Galaxy S5. Bitcoin mining is a record-keeping service done through different algorithms by the use of computer processing power. The primary purpose of mining is to allow Bitcoin nodes to reach a secure, tamper-resistant consensus. Bitcoin mining also introduces bitcoins into the system and in return, miners are paid a reward. This strategy helps in disseminating new coins in a decentralized manner as well as motivating people to provide security for the system. However, one of the major challenges to establishing mining is the hardware and the power consumption. So Samsung came up with an initiative called “Upcycling”. The main motto of Upcycling initiative is to show the world the power of mobile technology and also use the old devices to create revenue. 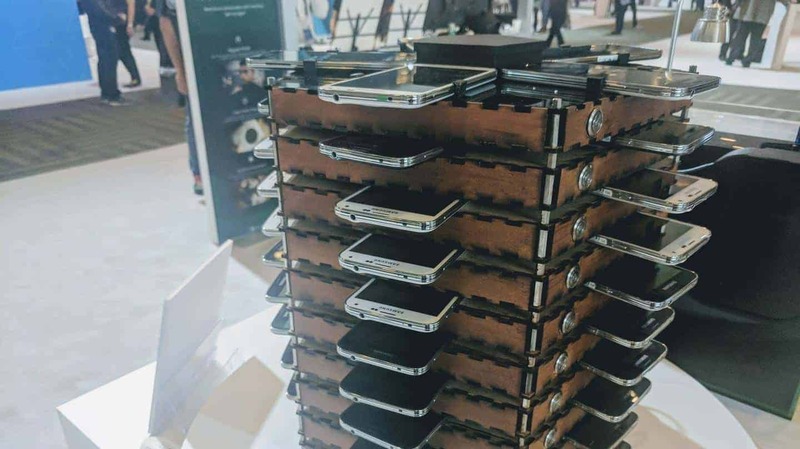 They created bitcoin mining rig using 40 old Galaxy S5 smartphones. 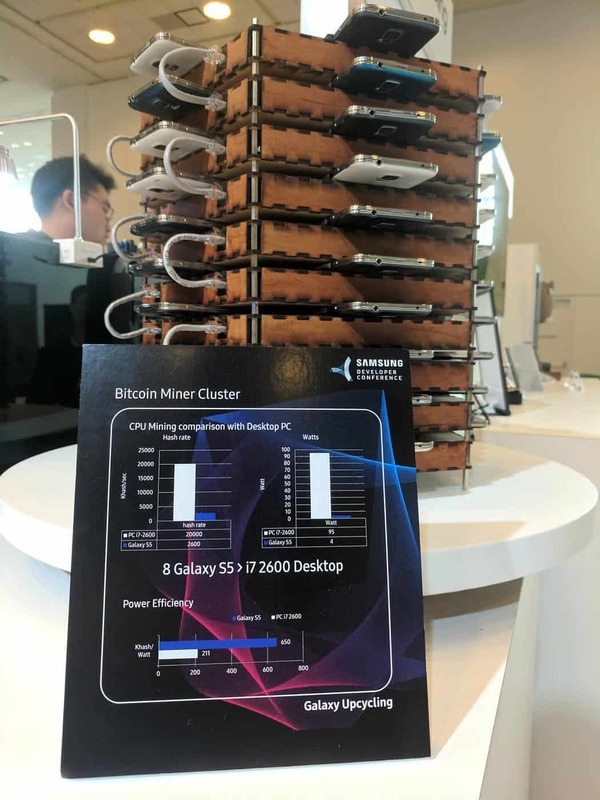 They have even created the custom Operating system for the bitcoin rig that was created using 40 old Galaxy S5 handsets. So it is not necessary to have a high costly configuration, even the collated version of old mid-range smartphones can be used to create the bitcoin mining rig. The sad news is the details about the rig are scarce and Samsung declined to answer specific questions about the rig. However, they do note that it seems that eight Galaxy S5 handsets are capable of mining at a greater power efficiency than a standard desktop computer. We are dwelling more on details regarding the basic set-up and functioning of this affordable mining rig. The future is so clear that we don’t need to keep our old devices in the cupboards. The old devices can be worth more than we anticipate. The other purpose is to show the world that Samsung devices are worth a price not only for their performance but also for their environmental longevity. Previous articleASUS Zenfone 4 Selfie Pro Review: The phone to make you look good? Next articlePhilips Mobile Accessories – Testing Out the 13000mAh Portable Powerbank and an Apple Lightning Cable!